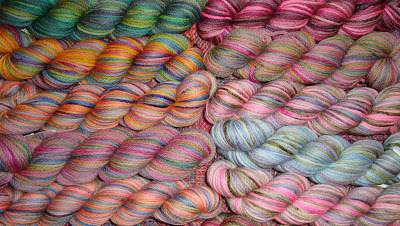 We have loads of new Online Supersock yarn. There are three new options, Circle Colour, New Weave and Wellness, all 75% wool and 25% nylon. We also have some of Online’s Summer Supersock yarn left, it’s 40% wool, 45% cotton and 15% nylon. And we finally have the beautiful red Online Solo Colour yarn for ruffly scarves. Remember? We’ve been waiting over six months for this one. 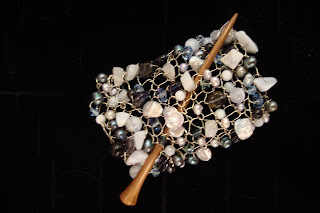 These stunning pins are crocheted with sterling wire and semi-precious stones. The day these arrived, we all took one home with us. These pendants are made with sterling silver and come with ten easily accessible stitch markers. 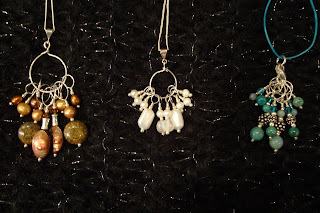 Some have lace sized stitch markers and others have larger sizes. There are also matching earrings. GTG now but there’s lots more new stuff, stay tuned for more updates next week…. We’ll be closed in both stores on Canada Day, Tuesday, July 1. Otherwise, we’ll be open our regular hours in Point Grey this Saturday through Monday and in Edgemont on Saturday and Sunday. Have a happy Canada Day long weekend! Our special this week is Filatura di Crosa Venezia Print at 30% off. This is a beautiful, soft ribbon yarn that’s 40% cotton and 60% polyamide. 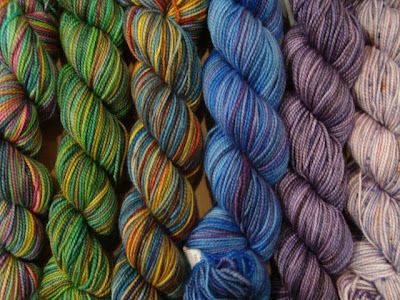 It’s a great choice for summer projects, the colours are gorgeous. Check out all of our weekly specials right here. Crochet is sizzling hot right now. Check out the fantastic designs in Interweave Crochet’s summer issue. Recognize the background in this photo? Yup, it’s our Point Grey store. You might remember, the shoot was scheduled for the beach but snow flurries interfered with that plan. Kim Werker was desperate for an alternate location and we were happy to oblige. 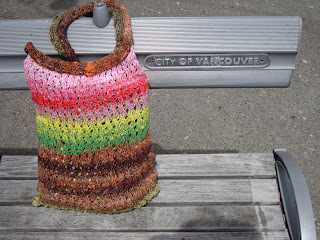 If you’d love to hook some of these fabulous designs but haven’t yet learned to crochet, join our Beginner’s Crochet class starting tonight at 7:00 p.m. in Point Grey. Last time I looked there were a couple of spots left. Or if you’d like to learn to knit lace, join Sivia Harding’s Beginner Lace Knitting class on Wednesday evenings starting July 9. 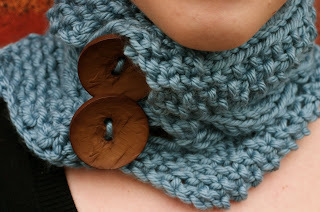 Learn to knit her beautiful Norwegian Woods Scarf. We have some great new lessons starting in June and July. Check out our Summer 08 lesson schedule right here. So we’re taking another little blog break, back next week. 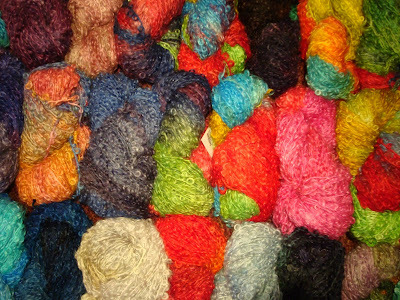 MF 1824 wool and cotton are two of our most popular yarns. Both have the same gauge, 18 stitches and 24 rows to a 10 cm square, so they’re interchangeable in the MF designs. Both are machine washable and come in a fabulous range of contemporary colours. What’s not to like? 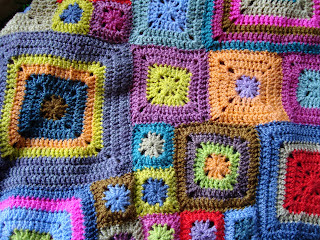 Check out Knitty Summer 08. So many fantastic projects. 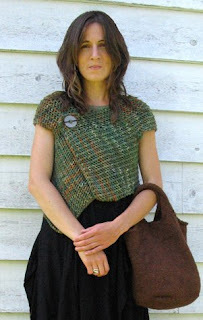 Love the Shetland Shorty wrap. And the featherweight Seascape shawl, knit with a perennial favourite, Kid Silk Haze. Helena is an adorable sweater-dress for babies. Too cute. There are socks and hats and a fabulous summer bag. More Fleece Artist has arrived. Oh Happy Day! This one’s knit with Seawool, a lightweight blend of 70% merino and 30% seawool. It’s knit in one piece with Scotian Silk, a beautiful blend of 65% wool and 35% silk. We also received many new colours of the gorgeous FA Suri Blue yarn, a luscious blend of 50% alpaca and 50% Blue Faced Leicester wool. Grab two skeins and knit the stunning Laminaria shawl from Knitty. Or try the Criss Cross scarf, we have a free pattern. And we unpacked some of the beautiful Blue Faced Leicester 2/8 wool, with 1000 meters per 250g skein. 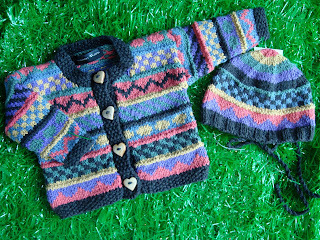 Knit the cute Tempest cardigan from Knitty with just two skeins. 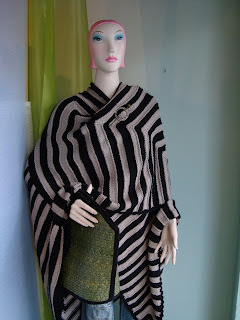 Love the fit of this cardi, especially the thinner stripes around the waist that accentuate the waist shaping. This gorgeous yarn is 78% mohair, 13% wool and 9% nylon with 180 metres on a 250g skein. Sadly Dreadlocks has been discontinued so we can’t get it anymore. When this batch is gone, it’s gone for good. We have more beautiful projects to show today…. 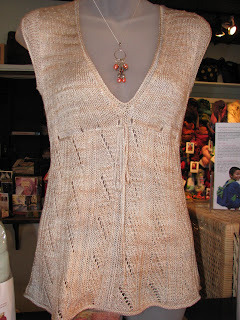 It’s the Josephine Top design from Interweave’s Summer 2007 issue. 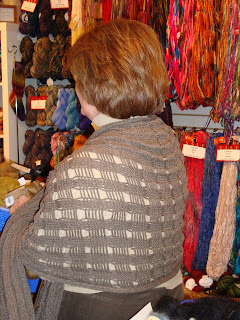 She used the Sea Silk yarn from a Handmaiden stormwater shawl kit for this one. Talk about inspiring…. It’s the Elisa Nest Tote from Purl Bee. Make a few of these bags and chuck the plastic. 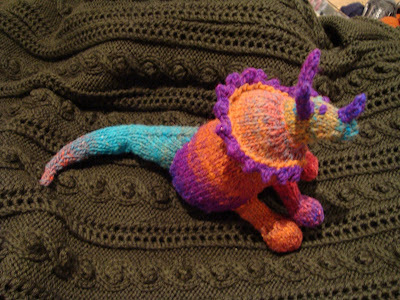 Have a look at more of Julia’s projects on her blog, Crispy Noodle Knits. 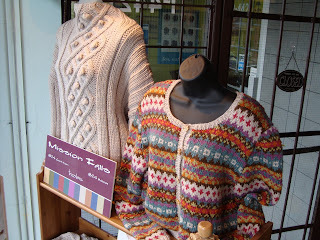 I believe it’s Jane’s own design, knit with the Italyarns Iris that’s on our specials list at 40% off. Iris is a lovely yarn that’s 30% cashmere. Have a look at this fabulous creation next time you drop by Point Grey. 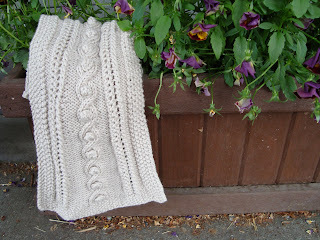 And be sure to check out the beautiful Linen Shawl that Alexa recently knit with Louet Euroflax. It’s also on display in Point Grey. 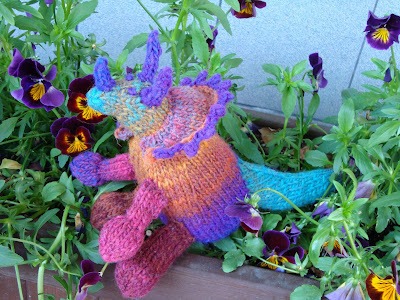 Euroflax is a fantastic linen yarn for summer projects. Machine washable and dryable. And it softens up nicely after washing.